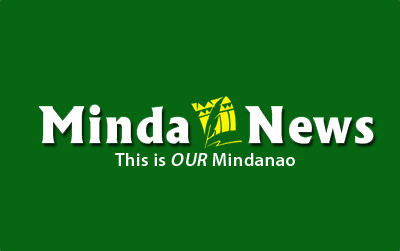 MALAYBALAY CITY (MindaNews/17 January) – The Senate, now sitting as an impeachment court to try the case filed against Supreme Court Chief Justice Renato Corona, currently has twenty-three members. Benigno S. Aquino III was supposed to serve until June 30 next year had he not won as president in 2010. Now, how will Aquino’s erstwhile colleagues vote on the impeachment complaint granting the trial will go the distance, that is, Corona refuses to resign? Since the trial has barely started, it’s premature to second-guess their minds. However, a look into the alignments in the chamber may give a hint of how the senator-judges will render a verdict. Of the twenty-three senators, only four belong to the administration party, the Liberal Party. These are Ralph Recto, Francis Pangilinan, Franklin Drilon and Teofisto Guingona III. While the four may feign objectivity and impartiality as jurors, it’s unlikely – although possible – that they would absolve Corona. It’s interesting to note that Drilon was also a senator during the impeachment trial of ousted president Joseph Estrada, an event that benefited her former ally, ex-president Gloria Macapagal-Arroyo. Incidentally, Corona’s impeachment was partly based on his perceived bias for Arroyo. Recto and Pangilinan joined the anti-Estrada bandwagon, and from there made a successful dash for the Senate, in 2001, under Arroyo’s Lakas-Kampi-NUCD. In 2007, Pangilinan ran and won as an independent while Recto remained with Lakas and lost his reelection bid. In 2010, Recto left Lakas in a huff and ran under the LP along with Drilon and Guingona III. A significant bloc in the Senate is the Nacionalista Party led by Senator Manuel Villar. With Villar are Senators Alan Peter Cayetano, Pia Cayetano, Loren Legarda, Ferdinand Marcos Jr., Tito Sotto and Miriam Defensor-Santiago. Legarda, Sotto and Santiago were members of the Senate that tried Estrada. Sotto and Santiago were allies of the deposed president while Legarda clearly was for Estrada’s conviction. Villar, on the other hand, was the House speaker at the time that Estrada was impeached. He caught Estrada’s allies in the House off guard when, immediately after reciting an opening prayer at the start of the session, he ordered the transmittal of the impeachment complaint to the Senate on the ground that it had gathered the required number of signatures. The move also sent the real estate magnate to the Senate in 2001. He was reelected in 2007 but failed in his first bid for Malacanang in 2010, where, ironically, Estrada got more votes than him. It remains uncertain how Villar and his fellow NP members will vote on Corona’s case. [Alan Peter] Cayetano, however, is known to be a critic of former president Arroyo. Further, in 2007, then First Gentleman Mike Arroyo tried to derail his chances at the Senate by making an unknown Davao City resident with the same family name (Cayetano) run for the Senate too. Not to be discounted is the bloc of Enrile and Senators Gregorio Honasan and Jinggoy Estrada. A son of the ousted president, there’s always the possibility of Estrada using the Corona impeachment to settle an old score against Arroyo under whose term his father was convicted of plunder. Honasan may also be harboring grudges against Arroyo for being implicated in the Oakwood mutiny where one of the central figures was then Navy Lieutenant Senior Grade and now Senator Antonio Trillanes IV. Senator Panfilo Lacson, another vocal critic of Arroyo, sort of shared Trillanes’ fate. Hounded by the Dacer-Corbito double murder case which he claimed was filed at the behest of the former president, Lacson vanished from public view and only resurfaced after Aquino became president. Like Trillanes, he is perceived to be supportive of Aquino. Nonetheless, Corona is not without possible allies in the Senate. Senators Bong Revilla, Lito Lapid, Joker Arroyo and Edgardo Angara are with (Gloria) Arroyo’s Lakas and may vote for an acquittal of the Chief Justice, if only to shield their titular head from prosecution. But never count out Senators Francis Escudero, Aquilino Pimentel III and Sergio Osmena III. In a tight battle for conviction or acquittal, their votes may seal the fate of Corona.